What a great way to spend the first day of spring. 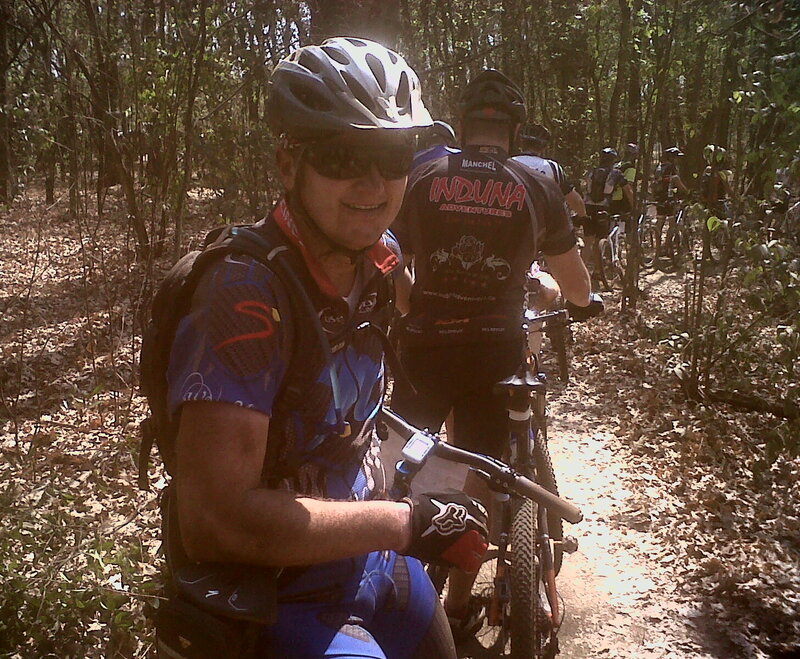 The Nissan Down & Dirty mountain 70km race was held at Cornwall College at Irene just outside Pretoria. 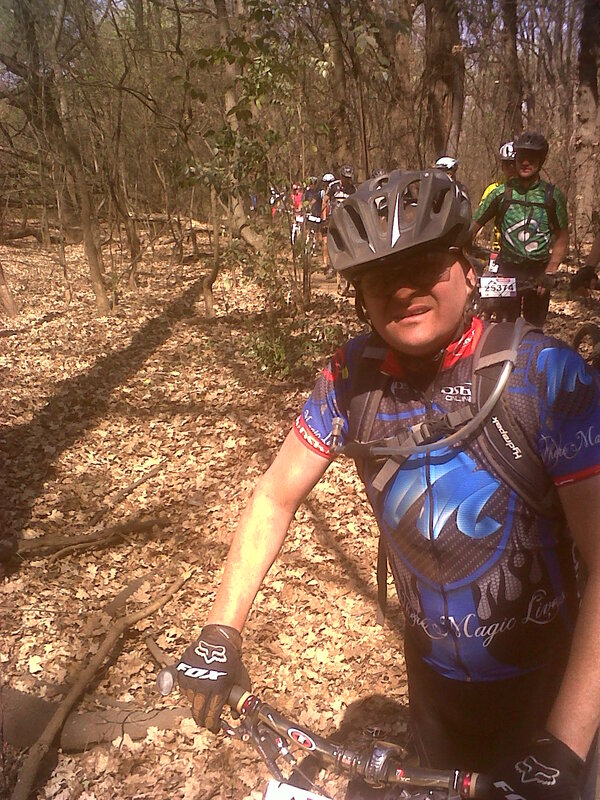 The weather was great, RIP to the leg and arm warmers and welcome back to the sun screen. This is a very popular event, with over 2500 mountain bikers hitting the tracks and making loads of dust.I really enjoy this race, as we do a lot of the route, that we do on our longer rides when training for Sani2C i.e. 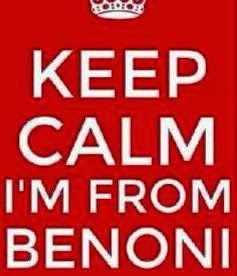 Benoni to Irene and back. We had to have a batch start, given the number of people, Greg and I started in batch D with Adam and Marco in batch C. It was good to see our Olympians, Burry Stander and Philip Buys starting this race also (in batch A of course). The race started pretty fast as we rode on the outskirts of Cornwall Housing Estate, we paused for a bit of congestion when getting onto the single track along side the highway, but nothing too serious except a welcome relief to catch our breath. I rode with Greg for the first 20 odd kms but then I latched onto some guy's wheel on the long dirt roads through the windy farm fields in a bid to up my average speed. It was great to meet new people on the ride - I rode with Paul from Kempton for awhile and I finally met a friend from twitter @DaleClark643 on the route. Just before the second water point I passed Adam, he was having problems with his seat post as his clamp broke just before the race - the duct tape was not providing the permanent fix he was looking for. At the 50km mark we were joined by the 40km race riders, which although caused a bit of conjestion, it was good to ride past them knowing that a few months/years ago I was the one being passed by the 'marathon riders'. At 60km I had managed to up my average speed to 21km/h by pushing it on the long jeep and dirt tracks. But then my race pretty much came to an end, when going down a pretty hazardous steep downhill (with loads of rocks and loose rocks sand) I went over the handle bars when trying to avoid the girl that was braking in front of me. Wow, what a tumble, beside being winded, I had hurt my right hand quite badly. The rest of the race was a pure nightmare. 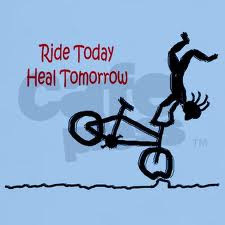 My hand was hurting like hell and I struggled to hold the handle bars, never mind changing gears, this resulted in me having another great tumble, hitting the ground so hard that I am sure it should have registered on the Richter Scale. My average speed plummeted as I struggled to stay on the bike for the last 10km of the race. 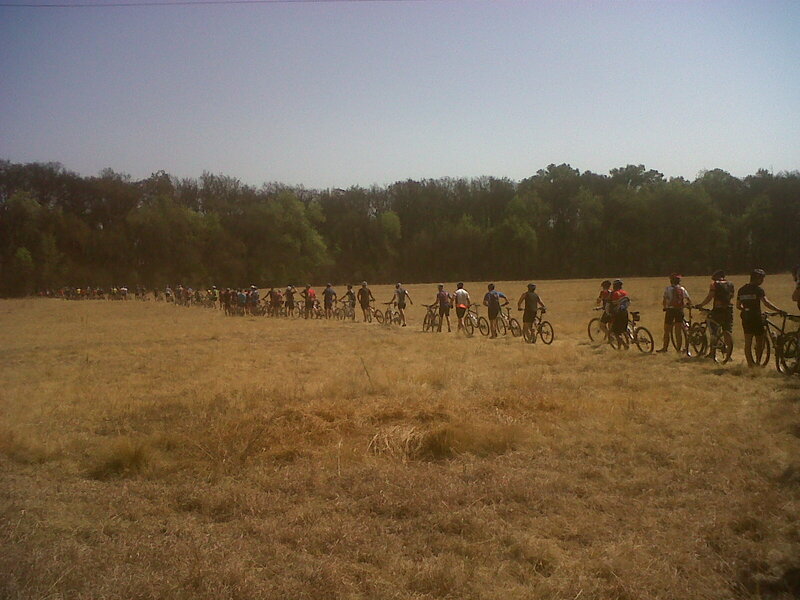 Almost there, with only 4km to go, but then there was this massive queue of riders. Very disapointing indeed, as this happened last year, I was hoping the new route would resolve the tail backs. The organisers should have anticpated that sqeezing a couple of thousand riders through single track with technical obstacles near the end of a race would end up only in delays and frustration. I realise that one of the reasons for the hold up was that the bridge that was made for the race was broken and you had to dismount and walk through the river. But even if it was fixed, the bank on the other side was so steep that most riders would not have been able to ride it. Bad planning @MTBseries.